We have the business finance technology. When looking for a new printer, copier or telephone system, you’ve broader options than simply looking at the equipment supplier’s finance plan. One of our business loan specialists can show you a range of business finance solutions that give you greater flexibility and can save you money. 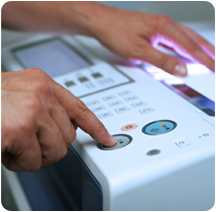 Financing rather than paying cash for that printer or copier can allow you to keep up with newer models as they’re released, improving business efficiencies. The right business equipment finance plan can also help preserve cash flow. Get the machinery moving early. A Fidelity Finance Group equipment finance specialist can come out and get to know your business. We’ll take the time to understand how the equipment can improve efficiencies, and may even suggest possible tax advantages. Then we’ll source the right business finance solution, considering tools like computer leasing/Rental through to commercial hire purchase for a range of business equipment needs. For smarter communications, find out about our telephone system rental and PABX leasing solutions, all it takes is a phone call. We’ve got more bargaining power. With over $350 million in loans written annually, we have the leverage to offer competitive rates and terms. Fidelity Finance Group can source finance from over 20 lenders to secure business finance on preferential conditions, terms and rates. That also means we can spread your business loans across a range of lenders, opening up your options for the future. We’re equipped to work harder. Receive one-on-one, personalised service from a business finance specialist. We arrange approvals within 24-48 hours on transactions from $100,000 to $250,000. We arrange 'pre-approved' amounts for future requirements. Complete an office equipment finance application now, without obligation, click here. Or phone +61 (2) 9212 0799 to talk with one of our business loans experts.